The City of Newburgh held its annual Christmas tree lighting on Wednesday, December 9, 2015. 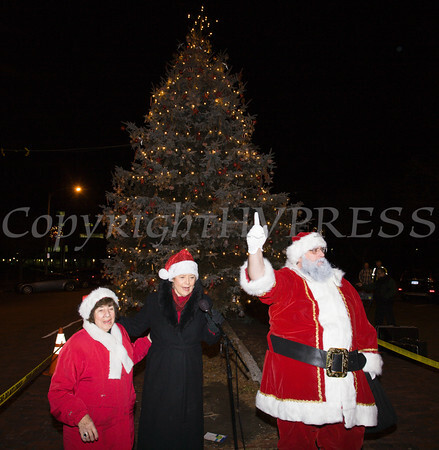 Deputy Mayor Regina Angelo, Mayor Judy Kennedy and Santa Claus light the 30 foot Colorado Blue Spruce during the City of Newburgh annual Christmas tree lighting on Wednesday, December 9, 2015. Hudson Valley Press/CHUCK STEWART, JR.